Yesterday I took Camille to an indoor trampoline park. The last thing she always likes to do before we leave to head home is to go "play" with the arcade games. She doesn't know yet that the screen constantly reads INSERT COINS TO PLAY INSERT COINS TO PLAY INSERT COINS TO PLAY as she spins the steering wheel, honks the horn, and makes the most heart-meltingly cute car noises on the racing game. A girl a little older than Camille ran up to us, so I helped Camille to make room in the chair so that they could both spin the wheel together. The mom of the little girl ran over with her diaper bag and a baby on her hip. "When are you due?" she asked me. We started chatting about the distance between siblings and hers are 18 months apart. Ours will be about 23 months apart. I looked right at her and said -- lay it on me. How crazy is it? She responded, "You just have to give yourself grace." But she went on -- thank goodness. She said, you have to embrace the craziness. You have to let your house be messier. You have to forgive yourself for a showerless day. Okay, this is where my second biggest fear about adding on to our family kicks in. Exactly all of that. But it's not really because of me. I think that I am the kind of person that could have four children and a fairly unkempt house. Not filthy, but just a little untidy. I'm a little more free-flow, "god made dirt, dirt don't hurt", life is crazy but wonderful, ain't nobody got time for perfection. But my husband? Different story! He is a "place for everything and everything in its place" man. I knew this entering a relationship with him. And I respect the fact that having a neat/tidy house makes him feel more relaxed and calm on the inside as he handles a fairly high-stress job, especially as the sole breadwinner in our family. So, with that said, he is realistic and understanding enough that I know he is not going to come home expecting me to spin around from the oven with a baking sheet of warm cookies ... and he knows that me at home with a newborn and a two-year-old is going to be a totally new adventure. The truth? He is probably going to give me more "grace" than I will give myself. I think what scares me here is putting so much pressure on myself to still make it all work -- keep the house pretty. Meal plan. Shower, and wash my hair at least a few times a week (ha). Pay the bills on time. Come up with fun, stimulating, educational activities for Camille. And maintain some of the things I still like to do ... like blog regularly. Speaking of Camille -- let's talk about my number one biggest fear about having a second baby. I love her so much, y'all. Ian and I look at each other all of the time and just marvel at how NEAT she is. She is unique. She is hilarious. It's probably because she's ours, but we truly believe she is different from all other 20-month olds we know! She is so smart. She is just crazy fun to be around! I am scared about comparing another baby to her. I am scared about comparing love. Countless mothers, including my own, have said "You think you can't love another baby any more. Then you look into the new baby's eyes, and you know that you can love this second baby with a whole new part of your heart." But this is a truth I won't realize until I experience it. Another mom told me that it's not necessarily that you'll take away time from the toddler to devote to the newborn, but it's moreso that you will spend the same amount of time with your toddler and just not have all of those hours upon hours of relaxing with your newborn on your chest, gazing lovingly at their immaculate perfection. Okay, I get that. But I loved that time with Camille, and it is so crucial! I want that with the new baby! I already feel guilt that I may not have that precious time with the new baby due to balancing time and attention with Camille. Thank you for being a sounding board to my crazy. These are the thoughts that keep me up at 3am! And obviously, we are thrilled to meet this sweet baby. I cannot WAIT to find out if we are having a boy or a girl. Our family will feel complete, I just know it. And I'm ready to embrace the wild, love-filled times. I just want to know what baby's eyes look like! Will he or she have Camille's scrumptious nose? Will we have another brown-haired child, or will it be a nordic-looking babe like Ian was as a newborn? I don't have any advice, as I only have a three month old, but we are hoping to have our second baby soon. My sister and I are only 13 months apart and it was wonderful growing up and now that we are older. Definitely the best gift my parents gave us! I am sure you are going to balance everything and Ian will also give you grace. Maybe too your mom can come help a bit. Self care for you is also so important! I have a newborn and a two and a half year old,so I am still learning myself. My one advice is let Camille help you with the new baby even if it is something as small as getting a diaper. They feel so good because they are helping. Good luck with everything. I am six months into life with two kiddos and I still feel so overwhelmed! I am waiting for the feeling to go away but I am not so sure it ever will. I think so much depends on the personalities of your children. My first is very independent and easy going. My second is more "high needs" and wild! I try to respect the baby's needs, for example, being home so he can take nice, restorative naps in his crib, lots of babywearing, etc., because that is what he needs and that is certainly what my first got! I hate to say it, but I probably prioritize the baby's needs because he dictates how everyone else feels. If he is overtired and unhappy, then I am overtired and unhappy, and how am I supposed to care for my toddler if that is the case? Someone once told me you can't pour from an empty cup. Sometimes I struggle with making my oldest miss out on what we used to do, like lunches out and more frequent playground visits. I know someday when the baby is older we will get there again and right now we need to do what we need to do to get by! Love this post and excited to read the comments! My first is 3 months younger than Camille and I'm due with my 2nd in June. So my little ones will be 23 months apart like yours! I'm excited to read how life changes for you with your next baby and will definitely be taking notes as you have the 3 month lead on me (so please share lots of tips! Haha) Congratulations!!! I have an almost 3 year old and a 3 month old. My toddler didn't like her baby sister at first and things were tough. My husband took 2 weeks off of work and took care of the toddler (kept her out of the house!) and then my mom came for a week after that. This gave me the cuddle/ bonding time I got with the first baby. I stay home with the girls but my toddler goes to church preschool 2 mornings a week. I often times use that time for cuddles as well! We spend a lot more time at home but it's winter and that doesn't bother me much. I stocked up on coloring activities, new puzzles, sticker books, etc. that I pull out when we need a new activity to keep us busy. I really struggled with my first child but things seem much easier this time around. I just keep reminding myself that this infant stage is short and before I know it the girls will be playing together and life won't revolve around a sleep/feeding schedule! I have confidence you will do great! Good luck! I have a girl who will be one on Saturday and a 3 year old boy. I won't lie to you... The first 3 months were hard! But eventually we fell into a routine and although there are still overwhelming moments I definitely think it's more manageable now. I am looking forward to this summer with two since my daughter will probably be walking. I bought Travis a lot of coloring books and art activities that he could do while I was feeding Kaitlyn. I also thought it helped when I put Kaitlyn to change on the floor so he could help. Also wearing Kaitlyn helped a lot so I could make sure Travis still got the outdoor time he loves so much. My husband is like Ian.. He hates a mess! Would it be possible to have a cleaning service come those first few months just to keep up with the mess? It may be worth spending the little extra money for a little sense of tranquility. I am expecting #2 in May, and have all of these same thoughts and feelings, girl! I try often to remind myself I didn't possibly know how much I would love my first, and yet here we are and he is truly the light of my world. I know there will be hard times, jealousy, and less quiet cuddling/nursing sessions than the first time, but I also remind myself there will be sweet toddler kisses on the baby's head, squeals and giggles as they grow and play together, and like you said, feeling 'complete' :-) You got this mama! Our first two are 15 months apart and a third surprise joined 23 months later. Each transition involved me worrying (thanks pregnancy insomnia), an "adjustment" period and then a new normal. My favorite encouragement from my MIL - the oldest will learn to wait and share. She will learn to help with the baby and you will realize how much she is capable of doing. It broke my heart to think of her growing up but my MIL was right! She is the biggest helper and loves her "babies". Things that helped me tremendously: a house cleaner, not pressuring myself to make dinner and putting the toddler (s) in high chairs with popsicles and an IPAD show while I bf the newborn. My personality is more like your husbands (super organized/neat) and I realized I had to have a certain standard of organization/cleanliness even with babies around to not feel overwhelmed. It all worked out and we have a new groove. Your giving your baby the gift of a sibling which is the best ever :) Congrats!! April! I'm right there with you on this journey! Our first born, Mary Mac (20 months) is the absolute light of our lives. We are expecting #2 in June (just 4 days before MM turns 2) and I echo every sentiment you have described here. While we might be "the blind leading the blind here" at least it helps to know that there are others about to embrace this new season of crazy! Yep, right there with you! My first will be just a little over 2.5 when our second is born in July and I'm feeling all of the same things... so much worry, wondering, and also excitement. Looking forward to reading the comments here! You'll figure it out, promise! I was terrified adding two babies at once!! How in the world would I go from loving one baby to loving three?!? But it happens! It's incredible:) and yes, I've learned to let GO of so many things that just aren't important ... Clean house, etc. I am not a mother myself- just a college student (who adores your blog! :-) ), but I loved the honesty of this post!! Although I cannot wait to be married myself someday, I worry often about if I want children or not in the future, or how I would be as a mother. Camille is SO lucky to have an incredible mom like yourself!! And your new baby will be just as lucky. I'm due in May with our second baby (another boy) and I felt like I was reading my own thoughts here. And I confess, it made me cry! I'm so excited, yet so super nervous. And I'm like your husband, so it's extra hard for me to "give myself grace" when I know I need to just understand and embrace the crazy. What you are feeling is COMPLETELY NORMAL. My two kids are 23 months apart. Buckle your seat belts- it is a wild ride. Mine are 8 and 10 now and I was a full time teacher when my second was born. My house was never clean, we are out a lot, and my kids spent a lot of time at daycare- it wasn't easy or ideal but we made it through and so far, my kids are happy and healthy. I would suggest that you hire an extra set of hands to help out, if you don't have grandparents close by. If nothing else, a college girl to come over once a week so you can grocery shop or to simply play with Camille. Same college girl could also help with housework or errands! Just a thought. You and your family will be fine- you will somehow find a way to make it work! My girls are right at 16 months apart. That mother you met is exactly right...you have to give yourself grace. I am not going to lie to you, it is HARD at first. I really struggled with having to "ignore" my toddler crying because she wanted a snack right that second and I was nursing her sister for the 10th time that hour. The first 3 months are a total blur, but totally worth it. You will snuggle the newborn a little tighter at night because you don't always get to during the day like you did with your first. It WILL all even out once you find out what works for your family. Let people help you at first, and don't feel guilty about it! I was worried that I wouldn't love the second baby as much as my first because, I mean, how on earth can I love something as much/more as I do her?! I will tell you, the connection from birth was almost stronger with my second than my first because you know. You know what you're getting yourself into a little more than you did the first time and your heart knows what's to come. It is an amazing feeling and you will be great! It is scary and a little bit sad thinking about the time with your first born only is coming to a close, but once they get a little older (mine are 3 and almost 2 now), and you see their connection and how they truly don't have memories without one another. It makes your heart want to burst even more. You've got this, and I will be praying for you and your family through this transition! My kids are 2 1/2 years apart and are now 9 and 12. It is a little crazy at first but just when you think you can't do it, it gets easier. I promise. I totally agree with hiring an extra set of hands. It will allow you some one on one time with either child. I tended to spend more time with the older one because they felt the transition more than a newborn who needs food and a warm body. You have very normal feelings and we can't wait to follow along!! My kids are 8 years apart. It took me the LONGEST time to get back to a feeling that I wanted another child. It was just the 3 of us for so long, and I was so content with our little triangle. It was easy to throw her in the car, without a diaper bag, change of clothes, etc, and spend the day out running errands, visiting friends, or just riding around. Then, I got the fever. It started out simple enough, visiting with a friend and her newborn, and then it grew and grew. When I told my husband (who for years has been begging me for a 2nd child, and I refused) he was so happy. And I was, too. Then when he was born, it was like this calm came over me. I was calmer and more relaxed than I have been in the last 8 years I think. This boy has made me a better Mama for my daughter. I have more patience, listen more, and try harder. I will say I was lucky in that my oldest went to school two days a week for a few hours and I got to enjoy some baby snuggles but the reality is there is no way you can give them equal attention all the time. I found with baby #2 he just got dragged out to whatever big brother was doing. Because of that he is much more go with the flow. Somehow it all works out and you will eventually find your groove. On and the best piece of advice someone gave me was its okay if the baby cries ( don't mean crying it out at night). Like when you are rushing your toddler to the potty and the baby just woke up and is crying. You want to go pick up the baby but you also don't want to be cleaning up a potty mess. A litte bit of crying is okay because though you may be super mom it's impossible to be in two places at once so give yourself grace ( there's that word again) and know that you are doing your best. I don't have experience with a toddler and a newborn, but I have experience with twins. I had two babies and I was scared out of my mind. I didn't (and still sometimes) know how to balance my attention with them. It is tough, but you find a way. My heart loves both of my babies more than anything. I can't imagine my life without them. I get asked a lot if I could, would I just have one of them. And my answer is always NO. I can't imagine my life without either of them. Sure one gets more attention than the other at times (because one will be needier than the other at that point), but it will balance itself out. And in your case, Camille can help with the new baby. You can get her involved and she will love it. My life is crazy, hectic, sometimes I don't get my hair washed or out of my pjs, but we are all surviving. I think my hardest part was the cost. I went from no babies to two babies. And that was rough. Everything else seemed more manageable. But we are in our groove and making it work. Reach out to other mommies for sure. Bring a gift to Camille from the baby to the hospital (if she will be able to meet her brother/sister there) or to the house when baby comes home. And have mommy/Camille dates and daddy/Camille dates when new baby comes home. Hope that helps out some. L & B are 25 months apart, and I will admit, nearly all of our first year was hard, especially the first 6 months. A lot of that had to do with the fact that L was not at all that excited about having a younger sibling. She didn't really care about "helping" and she didn't want to take care of her own babies while I was taking care of B (these were the 2 biggest pieces of advice I got from moms of two that turned out to just not apply to us at all!). She wasn't mean or ugly towards B, but her frustration at sharing the limelight definitely manifested in other ways, and that was really difficult. Sometimes I felt like I had ruined her life. But we just had to keep chugging through it, and now she LOVES him and they are generally pretty cute together! Practical Advice: If you can swing a little MDO a couple of days a week for Camille, it will really help you get in some of those lazy newborn snuggles in with the new baby. And/or have Ian take her for a special Daddy/Daughter Date every weekend so you and the baby can get in some QT. Try to take Camille out to do something fun with just you every so often as well (once you feel like you can leave the baby for a few hours). That one-one-one time is SO precious and reviving -- for both kids and both parents! When both kids are screaming, tend to the toddler first if possible. Sometimes this is just tossing a snack at them and then circling back to fix the actual problem after you've calmed the baby. I spent so much time attending to the baby that I always felt like L noticed and appreciated me comforting her first if they both needed me at the same time! This will depend on your newborn's temperament, but I found that I could pretty easily bring B out in the morning to all of L's usual activities and he'd sleep happily on me or in the stroller. Then we'd stay close to home in the afternoons so he could have a nap at home. That way, L felt like a big part of her life was still the same and B also got the benefit of some routine. Maybe none of this will work for y'all (which is still GREAT! You'll figure it out! ), but I thought I'd throw it out there was I was totally craving really practical advice when pregnant with the 2nd! It will be wonderful -- maybe hard, too...but wonderful! Mine are 24 months and 3 days apart. 2 of my best friends with kids the same closeness in age told me- "I don't remember the first 6 months of the baby's life. " And I don't remember Deeds' first six months as well. But its okay! My issue was getting back into my social scene. I had to say no to a lot of parties and dinner and that was hard. Especially because I had my baby an hour before another best friend, who was out and about way before me. I was beating myself up about it when yet another friend reminded me that we can't compare ourselves. So, give yourself time and, yes, grace.Don't be embarrassed when you are toting that baby around, nursing with a towel thrown over you at the indoor trampoline place. Or in your yard as Camille plays (hmmm, not that I would know ;) ). Right before Deeds was born I also had this strange sense of guilt. Like- what am I doing to poor DH's life? !And then I would think about my brother, and how I wouldn't give up that relationship for the world, and it made me feel so much better. I have 2 boys that are 4 and 6....25 months apart. Survival mode is probably the best term to use. Because that's what you'll be in for the first several months (ok, let's be honest...first several years!) And just when I would think I had it all figured out, BAM! something would throw me for a loop and we'd start learning a whole new "normal". Get Camille involved with baby as much as possible, but don't force the baby on her. My son was not interested in his baby brother for quite some time. I think girls are different, but you never know. My #1 piece of advice is to schedule Mommy/Camille dates. It can be as simple as taking her for ice cream. Just that one on one time with you will make such a difference. At least it did for us! 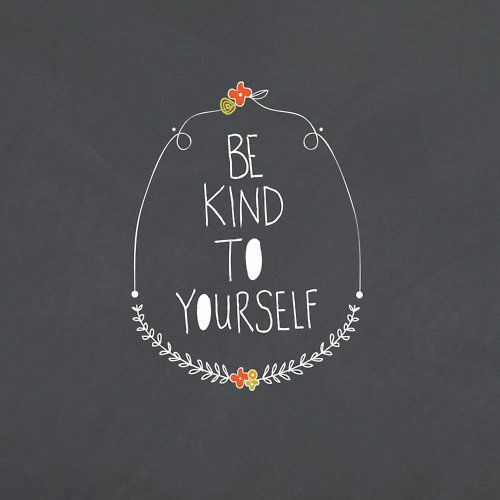 And......this one is always so much harder for me, but take the time to do stuff for yourself. Go get a pedicure. Leave the kids with Ian and go to the grocery store by yourself. Little things make all the difference in keeping your sanity. :) You guys are going to rock this!! You'll happily find your own groove and all will be good. Oh....and don't forget date night. That's important! You took the words right out of my mouth! All my fears about trying for a second. And my husband is the exact same way 😩😩😩. I'm sure you will rock it and can't wait to read your thoughts once baby comes! I have a four year old boy and an almost two year old girl. I remember thinking when I was pregnant with my baby girl how it felt like it was going to be IMPOSSIBLE to love this new little baby as much as I already loved my son. I was so terrified that I would always love him more because he is the one who made me a mother and because I had so much one on one time with him. But you know what? The instant that I held my daughter in my arms, I loved her every single bit as much as I loved my son. Every single bit. I realized that it really is possible... what everybody tells you about loving your children equally is really very true. Somehow, your heart just expands and there's really no way to explain it. So definitely don't worry about it. It will happen. I've been reading for a while and like your blog a lot but never comment... Decided today is the day to change that! I have an almost 3 year old and a 9 month old, and I've been nodding along to most of the comments. I will add that for me, easing up on the "screen time guilt" for lack of a better explanation has been helpful. If I put on an episode of Daniel Tiger, it keeps the toddler entertained (and quiet!) while I feed the baby and get her down for a nap. Then I can give him some real attention while she sleeps, and I'm not stressed about the baby or frustrated with the toddler. As the baby is getting more interactive, seeing the two of them "play" together is so much fun! My toddler is really good at getting the baby to laugh, and watching it is just the best feeling. i have a 3 year old girl, a 20 month old girl, and a 2 week old boy. i remember having the same feelings of guilt and nervousness towards the unknown when i was pregnant with our second, and again with this last pregnancy, but that all goes away when you welcome your new baby into this world. i won't lie, it's a circus. but, it's the best kind of crazy you will ever experience. our girls are so sweet with the baby. yes, you will have a different experience with this new baby than you had with camille, but that's ok - it will be special in its own new way. their interactions together will melt your mama heart and far outweigh the crazy, overwhelming times. people always tell you when you're pregnant with your first that it will be a love like you've never known, but you never fully grasp that until the baby is actually here. it's the same with your second. as soon as that new baby is here, you will find a whole new love ready and waiting. you have so much love and joy headed your way! good luck with your latest adventure. y'all will figure out what works for you, and you won't even be able to remember what it was like before the new baby was a part of the family. Amen, sister! I'm due with #2 (a boy!) the same time you are and mine will be 15 months apart! I, too, am just stumped on how I will be able to share the love I have for Lucy with little man, too. It just doesn't seem possible, but God helps us handle it all, doesn't He? I'm just planning to lean on Him and my support system. It will be crazy and it will be scary and I'm sure I'll cry as many happy tears as sad ones, but it will be worth it! I once read that your love is not divided, but multiplied with each additional babe. I have two littles and couldn't agree more! I hope that helps! Oh my, I can certainly attest to everything in this post, but here I am with a one year old and a 3.5 year old and I can say that all those thoughts went through my head before we had our youngest (Charlotte). My husband is messy by nature but also hates when the house is messy, so I try my best to keep it clean, have dinner ready to go, and do it all... Some days it really works, and some days I'm in my sweats till 6 pm, dinner is something my husband picked up on the way home from work, and the house is a disaster. However I will say that at the craziest times, it seems that my husband and I feel even more bonded- going through this wild parenthood thing together. Also, I will say that you don't get as much time to snuggle that newborn and take naps together, but at least at the beginning, I had lots of people that wanted to take Hayden out and my husband took a month off work, so we had that same sweet time (just less of it!). I had some of those same fears and you know what, nearly two years later, here we are! Life couldn't be better--my kids are thriving (and absolutely adore each other) and I am content with our "new" normal...so much that I'm excited to start thinking about a baby #3. I am similar to your husband in that I'm a control freak and a neat freak, but there are also times when I know I need to do something for myself (sleep/blog/relax) instead of doing what I think "needs" to be done. Because in reality, many of those things that you think "need" to be done, don't. That mentality has helped a lot. Also, I once read something that I'll never forget--your love is not divided, but multiplied with each additional babe. It couldn't be more true!! One of my biggest fears while pregnant with my second daughter was that my first baby wasn't going to be the only baby anymore. Even the night I went into labor I went in and kissed her and loved on her one last time while she was sleeping in her bed. I got so emotional and my husband came in and felt the same way. We cried for a moment just knowing that such bog changes were coming. But honestly after that moment we never looked back. To see how much love my daughters have for each other is amazing. And I love them more for it. Watching them interact, take care of each other, comfort each other, and argu just melts my heart. I could watch them all day. Fear is normal but you will settle right into what works for your family. Just enjoy each moment even the scary ones because time goes by so fast. I adore your blog and your snap chats. You are one amazing momma!!! Everything changes and adjusts. i have 3, my oldest is 8 and youngest is 20 months. You will have that time with your newborn if you let things slide (just for a little while). And you'll be so tired you will want to let things slide. My husband is the most type A person I know. He organizes his clothes by type and then aphabetically by color. He enters our receipts and breaks out the expenses on them (including tax) so we have a crazy accurate record of our expenses. But now - after 3 kids - he'd rather play catch in the yard and get sleep. And as we've added children to our family our responsibilities have shifted more to accommodate our lives. Your next will be nothing like Camille (most likely) but you'll love both of them even more for their unique personalities! Mine are 19 months apart (currently 5 months and 2 years), and just like with having a newborn - every day gets easier. At first I was very overwhelmed and felt guilty with how my time was spent, but you just have to do the best you can, and make sure your kids just feel loved. That's all that matters! My daughter was 21 months when I had twin boys and I can't even articulate the fears, anxiety, and just general worries I had about how it was all going to work when I was pregnant with them. It is so normal to worry about everything! The twins are almost eight months old and I won't lie, it is hard, but if you have realistic expectations that's half the battle. You'll always feel pulled between your children (some days I'm like "did I hold you? Or you?!") but I agree with other comments about getting help where you can to give you that one on one time with each child. It's a totally different experience than having your first and it's just as special, just different! My husband and I divide and conquer quite a bit...which helps you give attention to one child at a time but certainly cuts into "me time" and "us time". Just remember every few months things will get easier...at least that's what I like to tell myself. Some practical tips that have helped me...I really try to be one step ahead of what my toddler might need to help mitigate drama and tantrums (like if I know I need to pump soon or feed the babies, I get her set up with books or coloring before I start). I also try to give her tasks so she can be my special helper i.e. Grabbing a diaper, help mama hold the bottle, etc. You might have a messier house than usual or eat takeout more than you'd like, but it's all temporary and you'll find your family's new groove in no time. You'll do great! Mine are 22 months apart. Not going to lie, it's tough at first. One child is crying at any given time. Haha. It's sounds awful, but it is kindof true. My advice is to find time to be with your first born and make it just mommy and Camille time. For us, it was bathtime/bedtime. That helped with the mommy guilt of not being able to spend all your time and attention on them. I made a ton of freezer crock pot meals which helped take the stress off of what's for dinner each night. Try to not be so hard on yourself. And yes it will be harder to keep the house perfectly clean! Start small with your outings with two. We would go to target or a library class. Both were close to home so it made it easier if we had to go. You are getting lots of good advice, and it's so true that there is so much more room left in your heart to love your second born. It's amazing. I feel like I enjoyed the newborn phase even more with my second born. I don't wish the tough phases away anymore. Can't wait to find out his or her name! I love your blog. I feel the exact same way you do! Ours are 17 months apart--unplanned. I was happy with just one, but we are doubly blessed. Honestly, when the second baby comes, you won't have time to think about all this stuff--HA! And that's probably a good thing. You'll be too busy trying to remember who's been fed, changed, and if you have remembered to bring the dog back in! But, you'll get through it and it's even more perfect than you could've dreamed. It really all does fall into place, as it was supposed to. I'm a big planner and have quickly realized there are many things unplannable :) Best of luck, and we have an older girl like you will and she is truly the best big sister and mama's helper!!! I love open, heart-felt posts like these! I think the feelings you are having are totally normal and show just how much you do care! I would honestly be more worried if you weren't nervous and thought it was going to be a breeze! I don't have babes of my own yet, but do have lots of kids in my life that are very special to me, so I can only imagine how strong the love of a mother is! I so agree with what many have written. Your loves grows...multiplies.. With more children, not divided. I am a mother to 6, my oldest nearly 8 and my youngest 5 months and an 'Irish twin' to her sister before her. It's harder at first, but you'll get the hang of balancing. Each new kid changes things for a bit, but you'll find your rhythm. And showers are totally doable, but don't beat yourself up for looking rough sometimes, its OK! Beautiful pics on your blog! I love this post. I can totally relate to how your feeling as I am expecting baby #2 and they will be 16 months apart. I'm already overthinking and worrying about how I'm going to do it! Reading your thoughts is nice to hear I'm not alone! I love the suggestions as well! Thank you for this post! We are almost ready to start working on baby #1 and I am terrified. I feel like I won't have time for anyone or anything. Also the thought of being someone's mother freaks me out a little (my mom has big shoes to fill). My sister and I are about 20 months apart and my mom did a great job! Her big thing is being fair to both of us. I had a conversation with her the other day and she was worried that she had been spending too much time/money/attention on my sister and not on me recently. Of course I told her she was being silly (I'm 33 years old, lol), but I love that she still goes out of her way to make sure we both feel equally loved. I think as long as both your children know that they are loved then they will feel special. I love this! Y'all are too cute in your Lilly matching outfits! I'm getting so excited to start attending kiddo parties with Miss Sully.